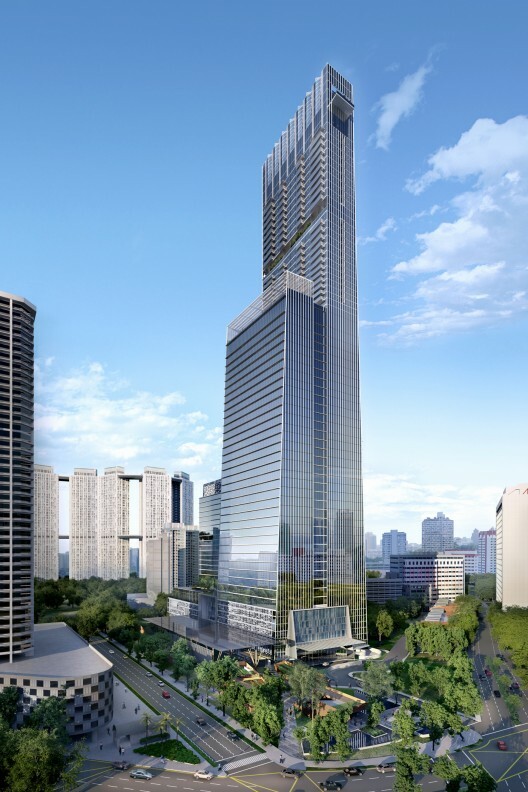 SOM's proposed Tanjong Pagar Centre will be the tallest tower in Singapore when it is completed in 2016. 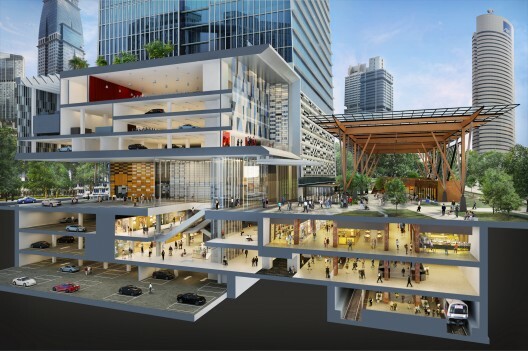 Rising to a height of 290m, the building is envisioned to be a business and lifestyle hub which contains office, residential, retail and hospitality components. The redesigned Tanjong Pagar City Park will house a unique public space in line with the Urban Redevelopment Authority's (URA) mission of creating vibrant and lively public places. It is about gathering spaces in a sustainable urban environments. The most unique component of the building is the proposed 'city room' which features public art and outdoor performance areas. The design feature of this building is relatively conservative when compared to other notable SOM's works throughout the world including the world's tallest building Burj Khalifa in Dubai. Nevertheless, when completed, Tanjong Pagar Centre will definitely enhance the skyline of Singapore.